Filmer HiDefJoe with a tailslide. Jereme Knibbs with proper form on the backside overcrook. 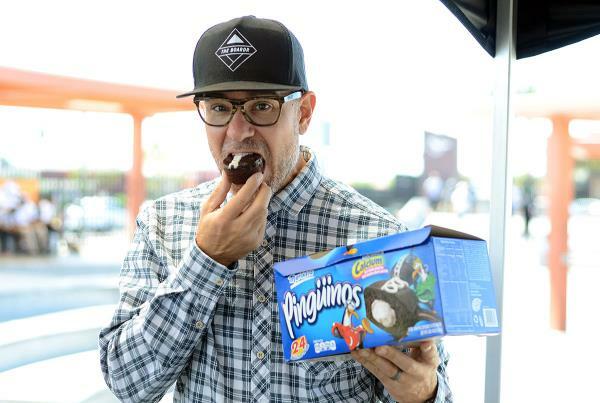 Ryan Clements is really enjoying those Marinela Pinguinos. 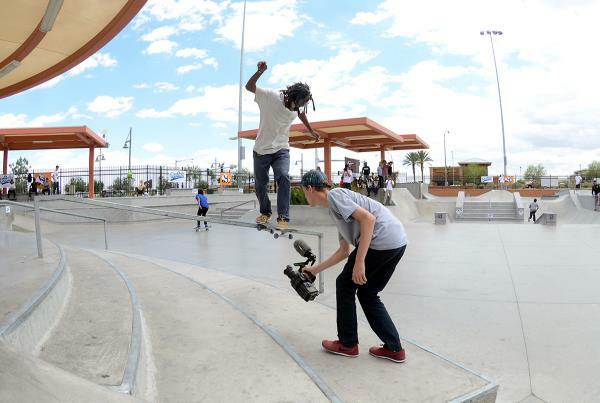 Aramis Hudson pants and nosegrind. 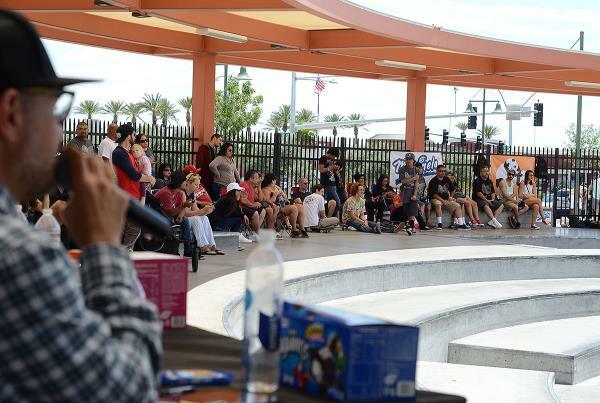 A nice crowd came out for to watch amateur skaters compete for a spot in The Boardr Am Finals at X Games Austin. Thanks Marinela for hooking up the tasty treats. 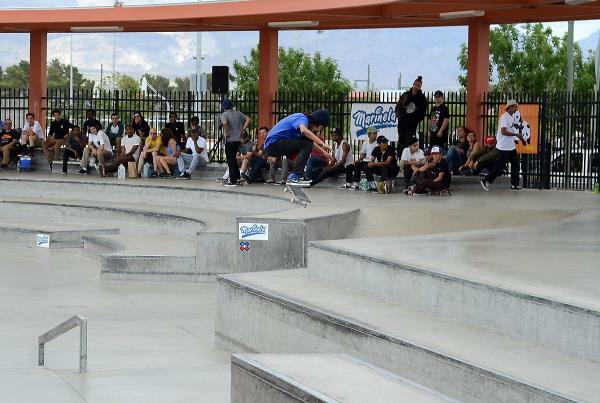 No that isn't Clint Walker, that is Jericho Smith doing a kickflip 50 down the hubba. Nicolas Michel with a bluntslide down the rail. Cam Sedlick with a backside smith down the rail. Keddrick Tanner - backside smith down the long out rail. The parents are stocked on The Boardr Am. Taylor Willis with a kickflip front board down the rail. Josh Baldwin with a front blunt down the long out rail. 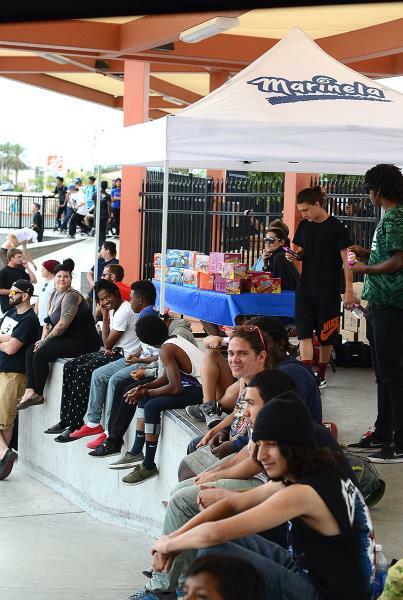 Genesis Atkins was a crowd favorite. His style reminded me of Karl Watson. Here is a casual backside tailslide. 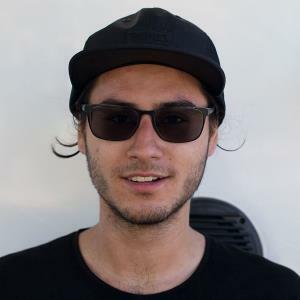 Enzo Cautela has a big bag of tricks. 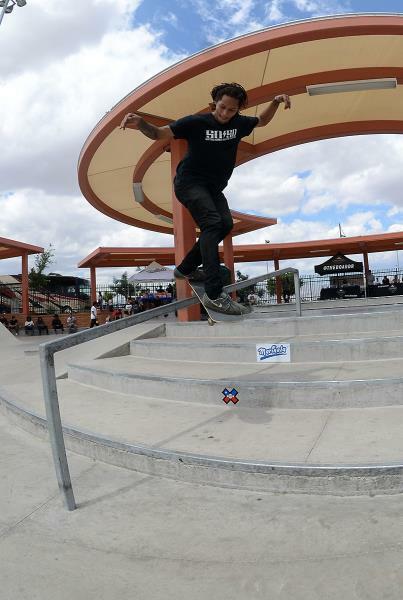 Here is a 360 flip lipslide down the rail. 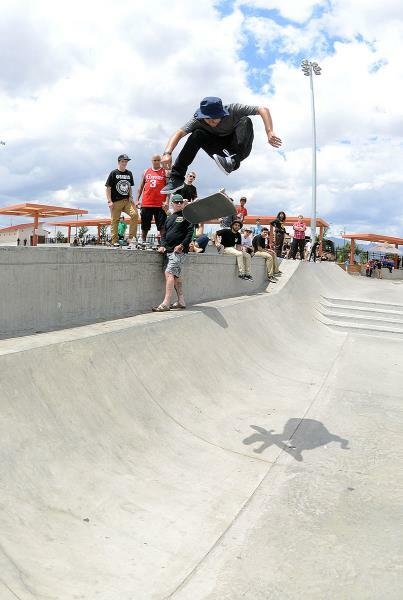 Enzo Cautela hucking a varial heel. 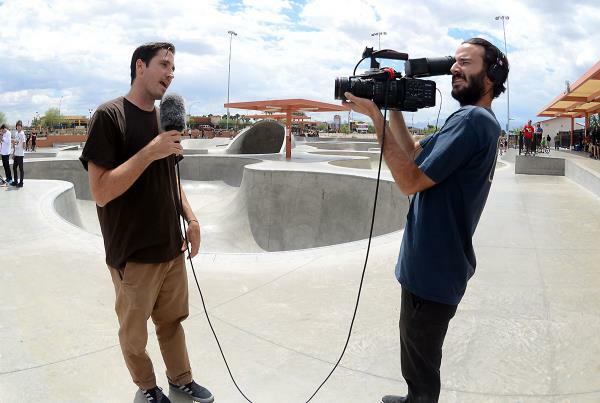 Tim O'Connor and his news anchor haircut were conducting interviews at The Boardr Am at Las Vegas. I'm guess it will be highly entertaining, so be on the lookout for the edit here at XGames.com. Marinela's got you with the stacks of snacks. Thanks again for the hookup! 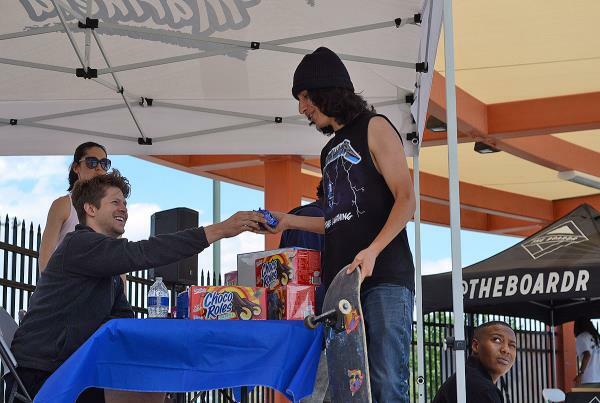 Jake Ilardi has been to every Boardr Am stop this year. He made his second finals appearance in Las Vegas. Here is a backtail for the crowd. I can't get over those pants that Aramis Hudson was wearing. Enzo with a proper catch on the hardflip over the rail. Craig Ranch is a lot of skatepark. Bryant Chapo with a fakie flip down the one block. 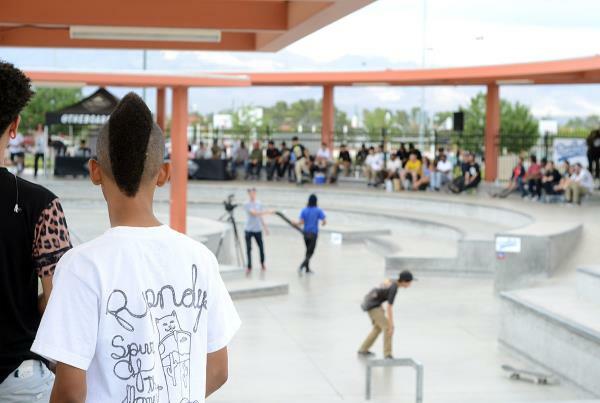 I don't know what I like better, that haircut or Rip N Dip shirt. 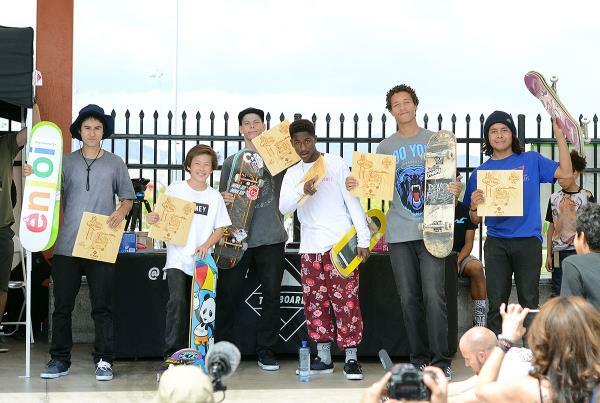 Congrats to everyone in the Finals at The Boardr Am at Las Vegas. 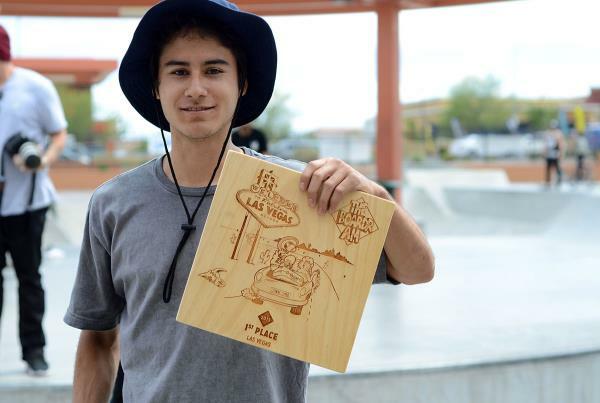 We will see Enzo Cautela at The Boardr Am Finals at X Games Austin. Hellaclips Presents Levi’s "Spot Delivery"